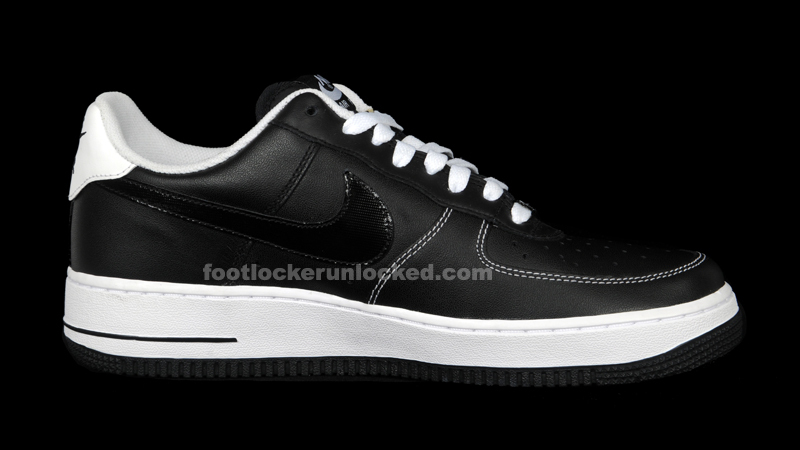 A new Air Force 1 low colorway is in stores now in a familiar black and white scheme with a little twist. 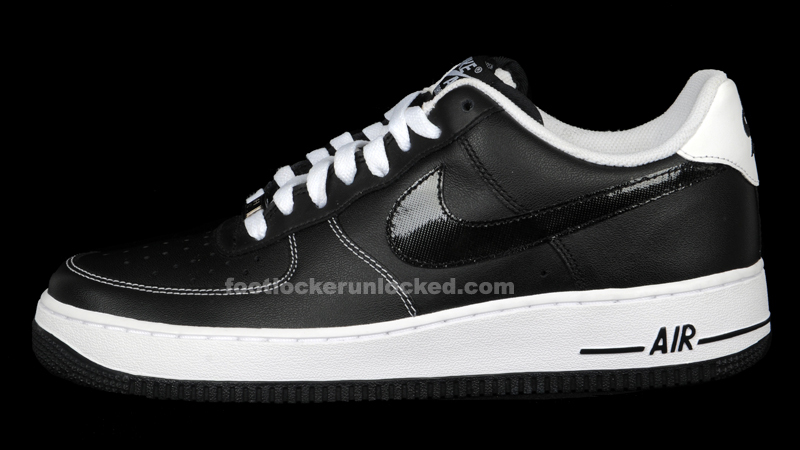 An all black upper is highlighted by a white midsole. 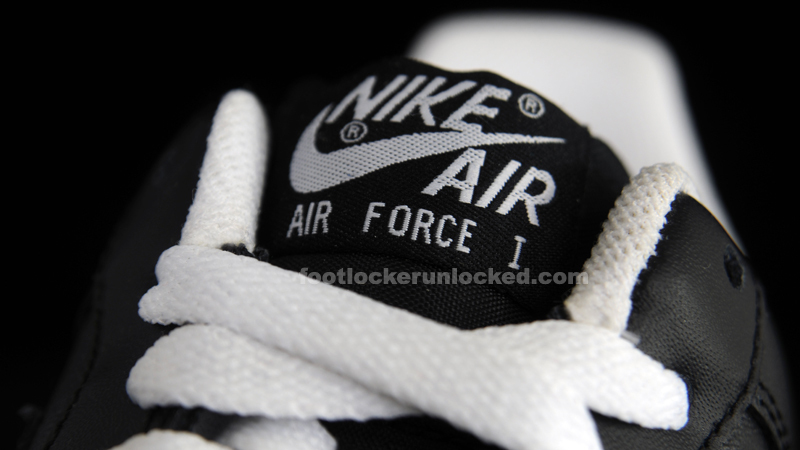 White highlights are also on the laces, heel, and inner lining. 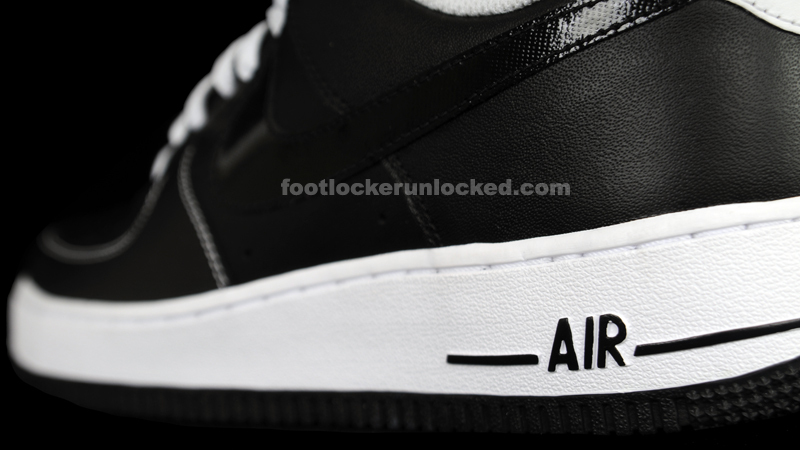 The special part about this Air Force 1 is found on the patent leather Swoosh. 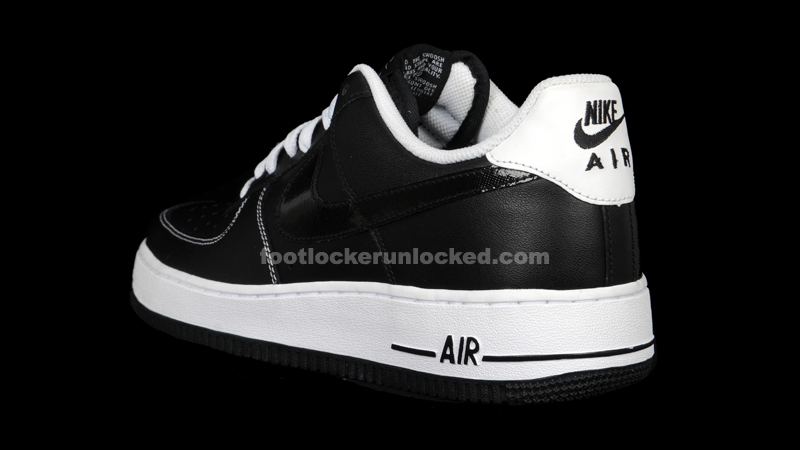 Though it is black, as well, the different leather textures stand out and make this black and white Air Force 1 stand out. 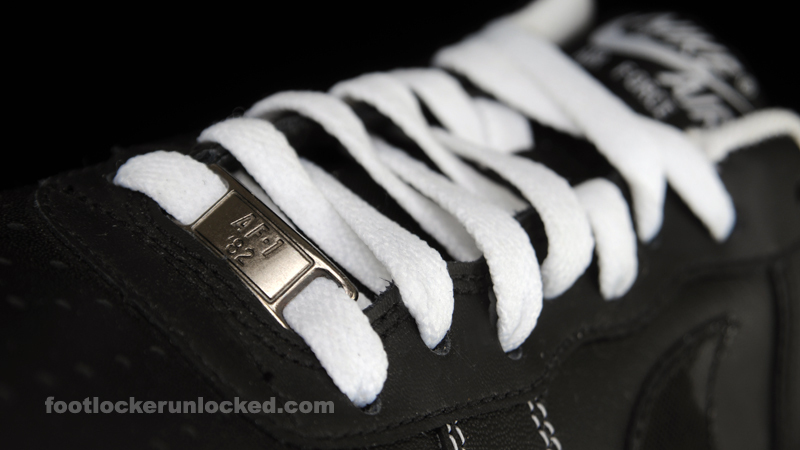 The white stitching on the toe box is also a nice touch.